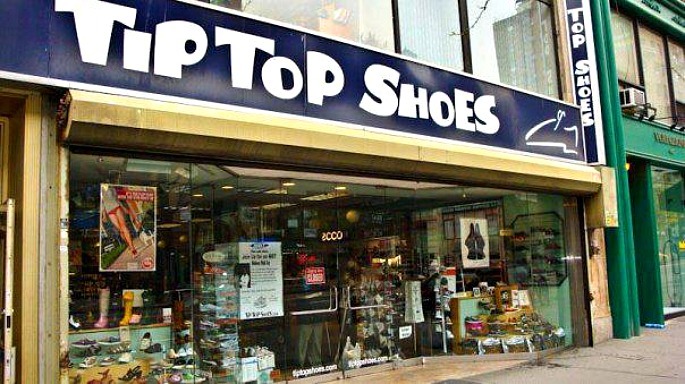 Why the name Tip Top Shoes? Danny: We didn’t name it Tip Top. It has a story. The original owners were German. My father was also German. In German, Tip Top means very good. It was translated over here, but it’s, “How are you today?” ” I’m Tip Top.” The service was Tip Top. Has the store always been in this location? 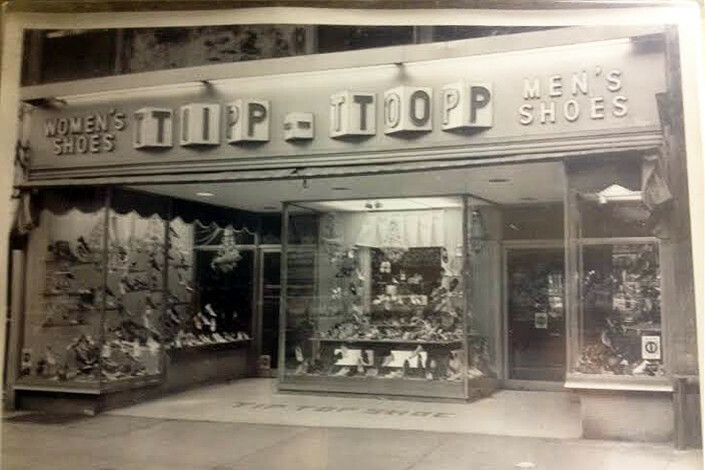 Danny: The store was originally up on Broadway and 105th street. It has been in this location since about 1963. How has 72nd street changed over the years? Danny: The mom and pop stores aren’t here anymore. Banks own three of the corners on the street. We used to just have one bank. Where Gray’s Papaya is used to be a drug store years ago. 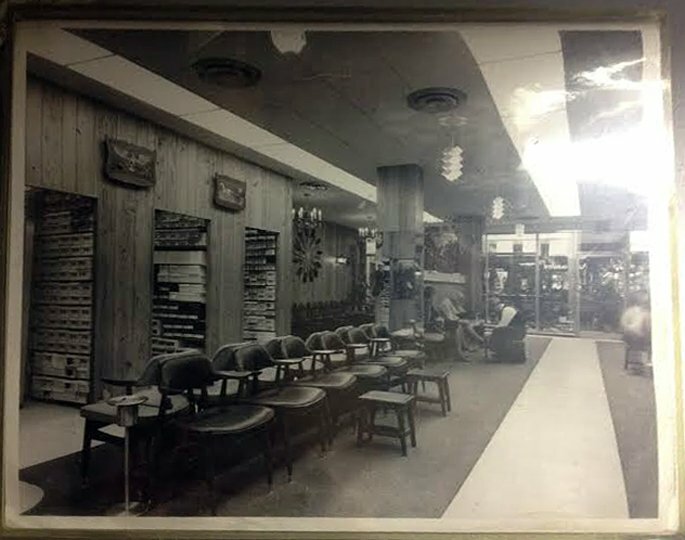 We used to have one hair salon with a woman who did nails. Now, we have three nail places. Before we had Schwartz’s Chocolates, and everyone in the city came here. Other than us, the two oldest stores on the street are Long’s Bedding and Fine and Schapiro, but they have changed hands. Why did you open a children’s shoe on the same block? Danny: The Upper West Side is very kid friendly. It’s dogs and kids. We always had parents coming in saying, “Where can I get good kids shoes?” We finally decided to open a children’s store about 8 or 9 years ago. Danny: I learned a lot about how to work with family when I worked with my father. My son and daughter both work here now, and they are the fourth generation in the footwear business. My grandparents started in Europe, then my father, then me, and now them. So, it’s in the blood. My son is doing a lot of buying, and my daughter is doing a lot with the children’s store. Everyone has a job. Danny: We go on buying expeditions. We select shoes for our customer profile. So, as our customers become younger, we buy younger shoes. We still maintain our core customer, which is probably about 45 and up. You have seen trends come and go in the she industry. What makes a shoe trendy? Danny: I’ve lived through many trends. There was a time when everyone was oohing and ahhing for the Espadrilles from France. Corky’s were made in downtown Manhattan. We used to go down there every time they had shoes ready and bring them back on the subway. We used to have Dr. Scholls that were fantastic, and we had people waiting outside for the pair that was $9.95. Frye boots came into the market. Years ago there was a Frye store in the city. That’s how crazy it was. There are certain categories of sneakers that are timeless and that will always be around. Comfort is not a trend. People always want comfortable shoes. But years ago, comfort was not looked on. It was, “I like it. I’ll buy it even if it hurts.” Today, the customer is more involved in fitness and comfort. We are all more casual than we were ten years ago. It started with no ties to the office. Shoes like Birkenstocks, Bass Weejuns, Converse, Keds, and thongs are timeless. When nobody is interested in sneakers, they will still be here. 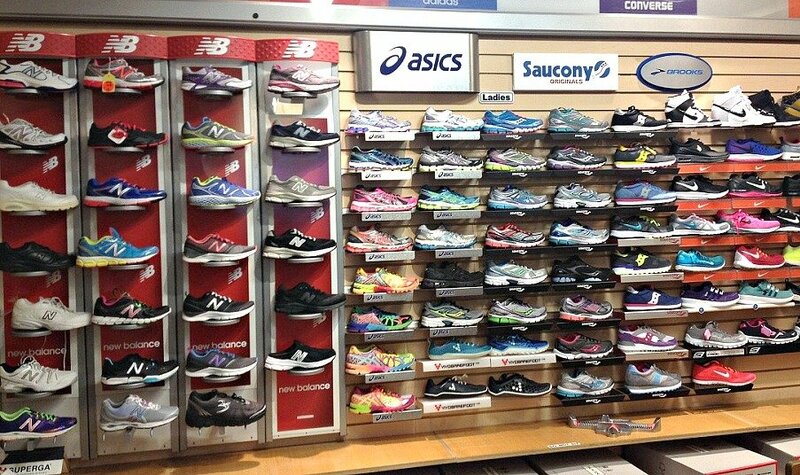 How many shoes are displayed in the store? Danny: On display, we probably have more than 300 different styles for ladies and another 200 for men. About six years ago, we saw the coming trend of athletics. At the time, we sold athletics off of a 2 x 2 display. Our register used to be in the back. We opened up the back and now have probably 200 different styles of sneakers. Currently, what’s the average size foot for a woman and the average size for a man? Danny: When I started, the average size of a woman was 6 1/2. Then it became 7 1/2, and now it’s about 8 or 8 1/2. For men, it used to be 8 and now our best sizes are between 9 1/2 and 10 1/2. We carry up to 15 and also carry multiple widths. Danny: Talking to people in the industry and sharing stories. Then there is watching customers buy shoes and seeing that we picked the right shoe. How big is your personal shoe collection? Danny: I own probably four pairs of shoes and that includes sneakers and a pair of casual shoes. When walking around New York, do you find yourself looking down at shoes? Danny: All the time, and I always get ideas. I’ll see someone wearing a color, and then I see it again. I live in the area, and sometimes I go into Central Park and sit on a bench on a Sunday and watch all the tourists walk past, and everyone has on a pair of sneakers. Even when I go downtown, I see the same. If you could select a shoe that epitomizes New York, which one would it be? Danny: The sneaker is actually a New York shoe because New York walks.